Eric Ives, in “The Life and Death of Anne Boleyn”, describes William Coffin as “a professional household administrator, actively concerned with the staffing of his department”1. He went on to serve Jane Seymour in the same position and his wife, Margaret Dymoke, was appointed to serve Anne Boleyn in the Tower and to report back to Sir William Kingston everything that Anne said while imprisoned. William Coffin was born around 1492 and joined King Henry VIII’s privy chamber in 1515 and was one of the king’s gentlemen ushers by 1519, serving him at the Field of the Cloth of Gold and his meeting with the emperor at Gravelines in 1520. By 1526, Coffin had become sewer of the chamber and he was Anne Boleyn’s Master of the Horse at her coronation in 1533. He became a knight of the privy chamber in May 1537 and was dubbed on 18th October, following the birth of Prince Edward, the future Edward VI. He died in 1538. According to Wikipedia, “Receiver General” is an alternative name for the post of “treasurer”, i.e. someone responsible for making and receiving payments on behalf of an institution. Letters and Papers3 lists Thomas Cromwell being paid £20 for being “High Steward of the Queen’s Lands” in September 1535 and Eric Ives writes of how it was he who sent Anne the warrant for the delivery of her letters patent giving her the title of Marquis of Pembroke and that he was also probably involved in directing the survey of her lands in Wales4. It was also Cromwell who organised Anne’s coronation in 1533. Although Cromwell was Anne Boleyn’s high steward, Ives points out that he was not involved in her “day-to-day affairs” but with “major policy issues”5 which concerned Anne. When Anne was on the rise in the early 1530s, Cromwell was definitely Anne’s man, a man she could rely on, but he also served her husband, Henry VIII, as his official chief minister and secretary from April 1534, although he had been doing the job unofficially for some time. You can read more about Thomas Cromwell in my article “Thomas Cromwell’s Arrest”. Sir James Boleyn was Anne’s uncle, being the younger brother of Anne’s father, Thomas Boleyn, and he was a man who shared her religious beliefs. Anne appointed him as her chancellor but she was obviously not close to his wife, Lady Elizabeth Boleyn (née Wood), was one of the five women appointed to serve Anne in the Tower and who, along with Lady Kingston, accompanied Anne to her trial on the 15th May 1536. Thomas Burgh was born in Gainsborough, Lincolnshire, in around 1488 and was the son of Edward Burgh, 2nd Baron Burgh, and Anne Cobham, 6th Baroness Cobham. He was knighted in 1513 at the Battle of Flodden Field and held the post of Sheriff of Lincolnshire in 1518-19 and 1524-25. He was summoned to the House of Lords in 1529 as Lord Burgh after his father became mentally ill.
Anne Boleyn appointed him as her Lord Chamberlain and “His first achievement for Anne was to vandalize Katherine of Aragon’s barge and his last to assist in her trial”6. He also held her train at her coronation in 1533. His son, Sir Edward Burgh (Borough) was the first husband of Catherine Parr, Henry VIII’s sixth and final wife. Sir Edward Baynton (Bayntun) was born around 1480 at Faulston House, Faulston, Wiltshire, and he inherited the manors of Faulston and Bromham on his father’s death in 1516. He was said to have been friends with, and to have possibly served, Queen Catherine of Aragon, who funded the reconstruction of the gates of his manor in Bromham. He was a favourite of Henry VIII, who granted him large areas of land in Wiltshire, and served Anne Boleyn as Vice Chamberlain from 1533. His home, Bromham House, was one of the properties Anne and Henry visited on their famous royal progress in the summer of 1535. Ives writes of how he shared some of Anne’s religious beliefs, but this did not stop him from being involved in trying to obtain confessions from the men alleged to have had affairs with Anne Boleyn. After Anne Boleyn’s fall in May 1536, he was appointed Jane Seymour’s Master of the Horses and then went on to serve her and Henry VIII’s subsequent wives as vice chamberlain. His wife, Isabel (née Legh), was Catherine Howard’s half-sister and served Catherine as one of her ladies after her marriage to Henry VIII in 1540. Edward Baynton was also a soldier and he died on the 27th November 1544, of wounds sustained in battle. Uvedale began his career during the reign of Henry VII, serving the King as an exchequer clerk, and rose to be the treasurer for the northern garrisons during the reign of Edward VI7. While serving Anne Boleyn as secretary, he also served as secretary to Henry VIII’s illegitimate son, the Duke of Richmond. Eric Ives describes Smith as a “professional auditor”8 who went on to serve Anne’s successor, Jane Seymour. Ives says that if Anne Boleyn’s council was like that of Catherine of Aragon, then it would consist of a chancellor (James Boleyn), receiver general (Tayor), surveyor (Smith) and also an auditor, attorney-general, solicitor-general, clerk, six lawyers and three court attorney9. William Latymer, Hugh Latimer, William Betts and Matthew Parker were all men who served Anne Boleyn as her personal chaplains. Eric Ives10, writes of how Dr William Butts, Henry VIII’s physician, acted as Anne Boleyn’s “talent spotter”, helping Anne to choose her chaplains “from the most promising young reformist scholars, particularly from Cambridge” and his old college there, Gonville Hall. It was he who introduced Hugh Latimer to Anne. Hugh Latimer was born around between 1480 and 1494 in Thurcaston, Lancashire. He studied at the University of Cambridge and worked there as the university preacher and chaplain. He was deeply affected by hearing the confession of Thomas Bilney, a man who was later burned for heresy in 1531, and began to accept reformed doctrines, meeting regularly with the likes of Bilney and Robert Barnes, who was also burned for heresy. Latimer was appointed as Bishop of Worcester in 1535, an appointment which is said to have been due to the patronage of Anne Boleyn who was queen at this time. Latimer was imprisoned in the Tower of London in 1539 for his opposition to Henry VIII’s Six Articles but was restored to favour during the reign of Edward VI, becoming a court preacher and chaplain to Catherine Willoughby, the Duchess of Suffolk. Latimer was burned at the stake with Nicholas Ridley on the 16th October 1555 in Oxford, during the reign of the Catholic queen, Mary I.
Matthew Parker was born on the 6th August 1504 in Norwich and was educated at Corpus Christi College in Cambridge, where he became friends with a group of reformers. He was appointed chaplain to Henry VIII in 1537 and also served as Anne Boleyn’s chaplain. It was Anne’s patronage which led to him being appointed dean of the collegiate church of Stoke by Clare in Suffolk p266. On the 26th April 1536, Anne Boleyn asked Parker to ensure that her daughter, Elizabeth, was looked after if anything should happen to Anne. On the 19th May 1536, just under a month after Anne had spoken to Parker, Anne was executed. Parker kept his word and he was rewarded for his loyalty by Elizabeth I in 1559 when she appointed him as her Archbishop of Canterbury. He died on the 17th May 1575. It is not known when William Betts was born but he studied at both Gonville Hall and Corpus Christi College at the University of Cambridge before becoming Anne’s chaplain. 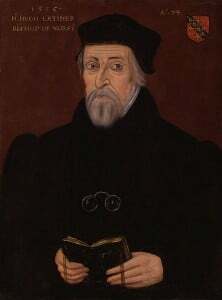 In 1528, Betts had been involved in scandal at Oxford, with the likes of Matthew Parker, Hugh Latimer and Thomas Garret, concerning the circulation of prohibited religious books. Garret went on to be burned at the stake for heresy in 1540. 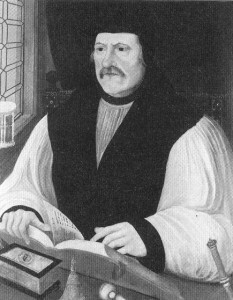 It was Betts who recommended Matthew Parker to Anne, and Parker replaced Betts as Anne’s chaplain in 1535 after Betts’ death. John Skip studied at Gonville Hall, Cambridge University, graduating in 1518. His career included being vicar of the parishes of Newington and Shepway, being Anne Boleyn’s almoner when she was queen, being the Archdeacon of Suffolk from 1536-1539 and being Bishop of Hereford from 1539-1552. On Passion Sunday 1536, John Skip preached a sermon which “almost caused a riot”12. Although he defended the rituals and ceremonies of the church as aids to memory, he attacked the king’s counsel, the English clergy and “even risked a coded swipe at Henry’s interest in Jane Seymour and the Crown’s preoccupation with money”, referring to King Solomon who “in the latter end of his reign he became very un-noble and defamed himself sore by sensual and carnal appetite in taking of many wives and concubines and also by avaricious mind in laying too great or sore burdens and yokes upon his subjects, over-pressing them too sore thereby”13. As Eric Ives explains, Skip then went on discuss the story of Esther. “Skip’s allusions were impossible to miss. The clergy overall were the Jews, Henry VIII was Ahasuerus and Cromwell was Haman. And the good woman? Everyone in the chapel that day knew that it was Ahasuerus’s wife Esther – Henry’s wife Anne.”14 Ives goes on to explain that “Skip’s sermon was Anne’s call to courtiers and counsellors alike to change the advice they were giving the king and to reject the lure of personal gain… In effect, Anne’s almoner was publicly attacking Cromwell’s motives and integrity.” For more information on Skip’s sermon, I would highly recommend you read Ives’ chapter “The Response. January-April 1536” in “The Life and Death of Anne Boleyn”. On the night of the 17th/18th May 1536, the night before Anne Boleyn believed that she was going to be executed, John Skip visited her at 2am to pray with her. At dawn on the 19th May, the day Anne was actually executed, she celebrated the mass and received the sacrament from Skip. She was executed by the sword that morning. Eric Ives15 writes of how John Poinz was one of Anne’s receivers and how his brother, Thomas Poinz, was William Tyndale’s (the Bible translator) landlord in Antwerp in 1535 when Tyndale was arrested. So, those were some of the men who made up Anne Boleyn’s household. Please do read my article on the women who were linked to Anne – Anne Boleyn’s Ladies-in-waiting. Have I missed someone out? Please let me know by leaving a comment below. See also “The Cambridge Connections” for more information on Matthew Parker and the Cambridge men who helped Elizabeth I. 14 May 1536 – Cromwell Shows His True Colours! Thanks for this information. Weird to think of Cromwell as actually an officer in Anne’s household; I never think of him as serving anyone other than Henry (or, serving himself by serving Henry). One tends to forget that Anne as Queen was the head of her own household, with all sorts of employees. And history books tend not to dwell on the day to day aspects. and on a personal note – I have some Betts in my family, wonder if they related! How great it would be to have be related to someone who served Anne as a Chaplain. There was also Henry Cryche, the clerk of the wardrobe and William Lock, her mercer. William Lock also obtained cloth for Anne, to make clothes for Elizabeth. I get the impression that Anne was like the head of a company and had all those employees taking care of the various aspects of her duties as queen. She must have been one very busy lady to have to deal with so many people and so many different duties. I forget what a queen or even a lady like a duchess must have had to do. Obviously they did not sit around all day and just gossip. It is nice to be reminded of every day life and what was involved in it. One thing I’ve always been curious about. Anne Boleyn appointed her uncle, Lord Edmund Howard, vice-comptroller of Calais. His daughter, Queen Catherine, fired him. Who would have appointed Sir Edward Bayntun as Anne’s Vice-Chamberlain? Thank you for writing this article, it’s a fascinating piece of writing. Who’d have thought she was given so much control whilst locked away, and even more interestingly she was served by the very same person who was serving Henry VIII at the same time. William Lock also smuggled in the Gospels written in French and on parchment at Anne’s request. To own Bibles or Gospels written in anything other than Latin was heresy.Lock was a practicing Continental-style Protestant and could have been burnt as a heretic if caught.Lock also spied for Henry while overseas. I researched this for my book about Lock’s daughter called ‘Tudor Rose’. Rose’s so later bought Gainsborough Old Hall and she saw out her days there.